Realme Philippines has just announced that they are the official sponsor of the Mobile Legends: Bang Bang Professional League – Philippines (MPL) Season 3. As the sponsor of the tournament, Realme seals the Realme 3’s claim of superior budget smartphone performance. The Realme 3 is powered by a MediaTek Helio P60 processor and is the latest device in the Realme product portfolio. In the series of weekly tournaments, fans can expect exciting activities and prizes such as smartphones and in-game diamonds. With the regular season starting on March 23, everyone is encouraged to watch the upcoming live stream tournaments and get the chance to win the brand new Realme 3 smartphones, among other prizes. 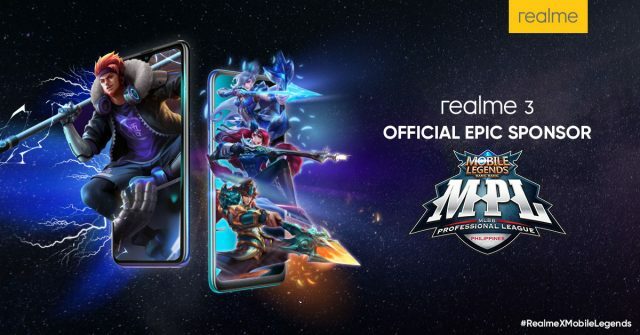 Realme Philippines encourages amateur and aspiring Mobile Legends players to join in its upcoming community tournament. Open to all members of the Realme Philippines Community Official, the tournament registration begins on March 22 with the qualifiers beginning on April 8 and the finals on May 2019. The Grand winner of the community tournament will win PHP 25,000 and a Realme 3 smartphone. While the grand winners of the MPL – Philippines Season 3 will be taking home a whopping USD 25,000 or about PHP 1.2 Million. Grand Finals will happen on May 2019 with the venue and date still to be announced. 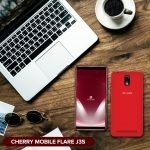 New beginnings have never been this exciting with Cherry Mobile!